It's day 3 of the Allure of the Seas crossing from Finland to Florida and Captain Zini and the crew pause to talk about their favorite things aboard the ship. It has been smooth sailing thus far but the captain needs to speed up a bit to avoid an approaching storm. Tomorrow the Allure will be entering the English Channel early in the morning. The largest and most revolutionary ship in the world is sure to get a WOW from all who see her and the crew of Allure of the Seas is no exception. Get their take on this impressive addition to Royal Caribbean's fleet as she makes her way across the Atlantic. 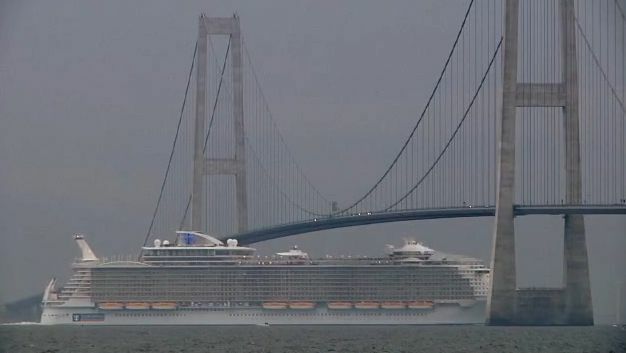 One of the first challenges for both Oasis of the Seas and Allure of the Seas was passing under Denmark's Storebaelt Bridge. In order to accomplish this, the smoke stacks have to be lowered, the speed adjusted to create the proper draft, and ballast adjusted to obtain the proper clearance. 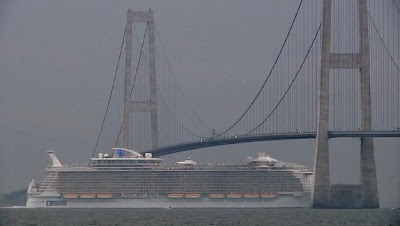 Allure of the Seas is one step closer to her arrival in Fort Lauderdale, Florida as she passes Denmark's Storebaelt Bridge with very little clearance to spare. Learn about the physics behind what helps the cruise ship make it under the landmark with such a tight fit. Watches and warnings are now discontinued for Hurricane Shary as she bypasses Bermuda, but a new tropical storm has become the 12th hurricane of the busy Atlantic season. Tropical storm warnings were posted for Barbados, Dominica, Trinidad & Tobago, and Grenada while Hurricane Warnings were posted for St. Vincent and the Grenadines, St. Lucia, and Martinique on Saturday. Carnival Miracle altered it's ports of call due to the storm. We will continue to monitor the developing situation. Currently Tomas is a Category TWO hurricane. CENTRAL PRESSURE OF 998 MB...29.47 INCHES. COAST WITHIN THE TROPICAL STORM WARNING AREA LATER TODAY..
BY LATE TONIGHT OR EARLY FRIDAY. OVER THE SOUTHEASTERN BAHAMAS AND THE TURKS AND CAICOS ISLANDS. Princess Cruises' Caribbean Princess, which was scheduled to visit St. Lucia on Thursday, will no longer be able to call there. Grand Princess' scheduled calls to the Dominican Republic on Friday, November 5 and to Grand Turk on Saturday, November 6 have both been cancelled. A visit to San Juan on Friday has been added to the ships itinerary. Ruby Princess will no longer call in Grand Turk on Friday, November 5. Th ship will take a longer southerly route in order to avoid Tomas, but is expected to arrive in Fort Lauderdale on time. Silversea Cruises' Silver Spirit, which was scheduled to visit St. Lucia on Friday, will call in Roseau, Dominica. Carnival Miracle, which was scheduled to dock in St. Lucia on Saturday and St. Kitts on Sunday, instead spent the weekend at sea. To compensate, it stopped in Grand Turk on Monday and Nassau on Tuesday. Carnival Victory, which was scheduled to stop in St. Lucia on Thursday, November 4, will now spend the day at sea. Carnival Freedom's scheduled call to Ocho Rios on Thursday, November 4, is being replaced with a visit to Cozumel. Freedom of the Seas replaced yesterday's sea day with a visit to CocoCay, and instead of calling in Labadee today the ship will remain at sea. Serenade of the Seas departed from San Juan for a Southern Caribbean cruise on Sunday, and rather than calling on Curacao, Aruba and Dominica, the ship will now visit Barbados, Antigua, St. Maarten and St. Thomas. P&O's Ventura will skip its scheduled call in St. Lucia tomorrow, and will instead call in Dominica. Celebrity Millenium will no longer call on St. Lucia on Friday, November 5, but will instead visit Martinique. The busy Atlantic Hurricane season continues with the eighteenth named storm, Shary. Tropical storm warnings are posted for Bermuda as the storm will be passing there later today (Friday). Several inches of rain are forecast at this time. So far, no cruise ship itineraries have been affected, but we will continue to monitor the situation and advise you of any changes. Locals from the Islands of Bermuda are providing updates (link above) on the storm complete with pictures. LIKELY LOSE TROPICAL CHARACTERISTICS BY TONIGHT. No advisories have been posted at this time - watch for updates. Check with your cruise line directly if you are scheduled to be in Bermuda today. Richard Fain, Chairman and CEO of Royal Caribbean Cruise Line LTD., didn't get much sleep since the previous day's activities ended after midnight and the Allure of the Seas departure from Finland began at 5 AM. The weather report showed some strong winds building in the morning so Captain Zini decided to schedule an earlier departure from the Turku, Finland shipyard. After two years of construction, testing and outfitting, Allure of the Seas is finally ready to make the transatlantic voyage to her home port in Florida! 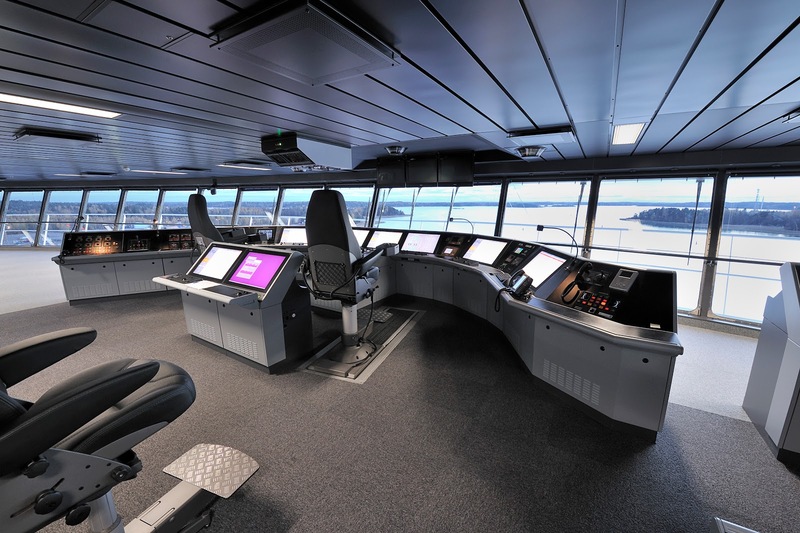 Watch as this incredible ship bids farewell to Turku. In this video log, Captain Zini reviews the weather and other critical information before ordering the lines to be cast off. This is the moment everyone has been waiting for. Just as the Oasis of the Seas did exactly a year ago, the Allure will head into the open Atlantic Ocean to make its way to Florida. Come back periodically to watch additional videos and learn more about this incredible ship. For us the anticipation is building as we await our chance to report live from the Allure of the Seas starting November 26th as she embarks on one of the pre-inaugural voyages out of Fort Lauderdale. 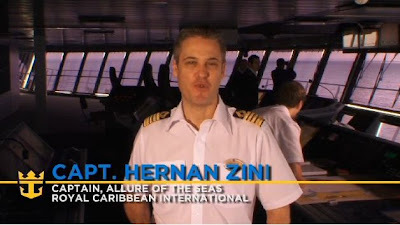 But for now, sit back and relax as we watch Captain Zini prepare for Allure's first voyage across the Atlantic. Today on 28 October 2010, the world's largest and most innovative cruise ship, the Allure of the Seas, was delivered by STX's Turku Shipyard to the American shipowners Royal Caribbean International. Allure of the Seas is the sister ship of Oasis of the Seas delivered a year ago. What's it like to sign a piece of paper authorizing the payment of One Billion USD (that's with a "B")? Chairman and CEO of Royal Caribbean Cruises LTD., Richard Fain, can tell you. "The closing created conflicting emotions for me. On the one hand, it was anti-climactic. After millions of man hours, years of effort, endless argumentation and consideration, and tons of sweat and tears, a simple one page document saying it was complete didn’t seem momentous enough. On the other hand, signing a one page sheet of paper transferring a billion dollars (that billion with a B) is an awesome responsibility. Actually having to sign your name brings home the implications in a very strong way. Before signing, I obviously checked with Harri Kulovaara that all the technical elements of the ship were up to snuff and checked with Adam Goldstein that all the operational aspects were ready. Nevertheless, I have to admit that my hand hesitated a bit before actually signing that paper." launched for the first time on 20 November 2009. At closing time, there were only 230 comments outstanding on the Allure contrasted to 6,000 at the same time for the Oasis. 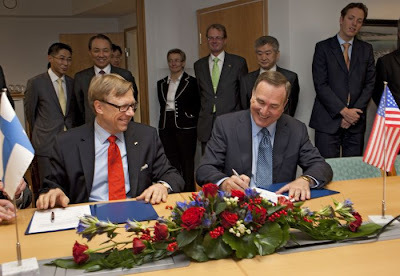 STX Finland should be quite proud of their accomplishments with both vessels. Millions of man hours later, we have the second Oasis-class ship delivered on-time and with fewer outstanding items remaining to be corrected. Allure of the Seas is officially a part of the Royal Caribbean fleet, following months of construction and preparation this is a moment marked with celebration! Allure of the Seas is currently sailing the Atlantic Ocean on its way to the home port of Fort Lauderdale, Florida. hurricane over the weekend. There are no cruise ships impacted by the storm at this time. As predicted, the storm strengthened into a Category ONE Hurricane but has now weakened. A HURRICANE WATCH MEANS THAT HURRICANE CONDITIONS ARE POSSIBLE WITHIN THE WATCH AREA. A WATCH IS TYPICALLY ISSUED 48 HOURS BEFORE THE ANTICIPATED FIRST OCCURRENCE OF TROPICAL-STORM-FORCE WINDS...CONDITIONS THAT MAKE OUTSIDE PREPARATIONS DIFFICULT OR DANGEROUS. A TROPICAL STORM WARNING MEANS THAT TROPICAL STORM CONDITIONS ARE EXPECTED SOMEWHERE WITHIN THE WARNING AREA WITHIN 36 HOURS. A TROPICAL STORM WATCH MEANS THAT TROPICAL STORM CONDITIONS ARE POSSIBLE WITHIN THE WATCH AREA...GENERALLY WITHIN 48 HOURS. WILL LIKELY BECOME A TROPICAL DEPRESSION LATER TODAY. HOURS. THESE WINDS WILL DIMINISH LATER THIS MORNING. Continuing our virtual tour of Norwegian Epic, it's time to checkout your stateroom. 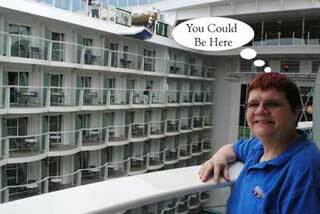 Your cabin assignment for the cruise is 14036, a deluxe family balcony cabin on deck 14, forward, port side. The Mandara Spa & Salon is located on this deck also. Some of the cabins on this deck have special spa access and amenities in their cabin. Opening the door of the cabin, you are greeted by the bathroom facilities. This is not setup as in most other ships. Instead of the usual one room bathroom, there is a shower area on one side, the commode on the other, and the sink and medicine cabinet beyond that. The usual solid door is replaced by translucent panels. You are pleased to see that you actually have a tub and shower in this type of cabin. If you've read our blog for awhile, this doesn't come as a shock to you since we wrote about the controversial configuration when Epic began its inaugural sailings. You might be wondering what the designers had in mind when they introduced this innovation. Their intent was to make it possible for different guests to use the facilities at the same time. For a couple, we'll assume that this sharing doesn't cause any issues. However, for other occupancy combinations, such as families with children of any age, or friends sharing a cabin, the configuration will take some getting used to and / or planning. We had our grown up son with us on this trip and to be honest, the bathroom layout didn't cause a problem. There is a curtain that can be drawn to provide you with privacy. You'll want to be sure to spin your dial to "do not disturb" and double lock your door to be sure you cabin steward doesn't surprise you from the other direction. There are robes in the cabin, so that too is another way to ensure privacy when you get out of the shower. Your luggage arrives and it's time to unpack. You survey the storage facilities to decide how to divide the space for the three of you. The closet nearest the entry way is ideal for hanging up everyone’s nice clothing. The bank of cabinets above and below the counter provides plenty of storage for remaining clothes and other items. There are four metal baskets in the lower cabinets which can be used for night clothes, swim suits, or any other items that don’t need to be hung up. Next to the bed there is a night stand with three shelves which can be used for clothes or storage of cameras and other essential items you’ve brought with you. There are a few hidden storage spaces also... under the sofa bed, there are drawers that pull out and above the bed at least one of the cabinet doors opens. Across from the night stand, next to the balcony door, there are two closets in this particular cabin. One thing that we discovered is that there are minute differences in the cabin configurations even for the same category. For example, the sofa bed can be before or after the full size bed depending on the location of the cabin and direction of the waves. The location of the curtain and the storage configuration may also be different. If you happen to be in a cabin that has adjoining doors, you will lose some of the storage space. For example, the extra closet space is replaced by the door. The night stand cabinet next to the bed is most likely narrower than the one in this cabin. The extra space came at a price for us also. To compensate for the extra space, we lost some of our balcony depth. There still was plenty of room to relax on the balcony with the two chairs and small table providing the furnishings. It is possible to put your full size suit cases under the bed which is what you'll need to do due to the odd sized closets. The wave design makes it impossible to put anything other than bags that are backpack size on the closet floor. My advice is to put your suitcase under the bed and use it for your dirty clothes. This cabin was sufficient for the three of us, however that was partly due to the sleeping schedules. My husband and I were up early to have breakfast and attend the conference sessions while our son slept in after a long night. Therefore, we weren’t all trying to take showers at the same time. We took a tour of the ship during our conference cruise. Watch for reviews of other cabin types complete with pictures in future posts. CruiseOne & Cruises Inc. 2010 National Conference was held during the October 16th 7-Night Western Caribbean Cruise on Norwegian Epic. Epic sails from Miami, Florida. 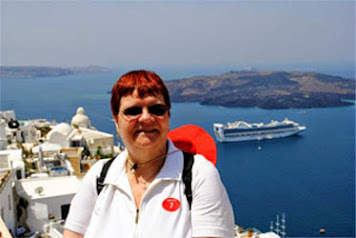 Join me on a virtual tour of Norwegian Epic starting from our first meal following embarkation. Since the cabins weren't available for occupancy, we dropped off our carry-on luggage at Headliners and set off to have something to eat and explore the ship. 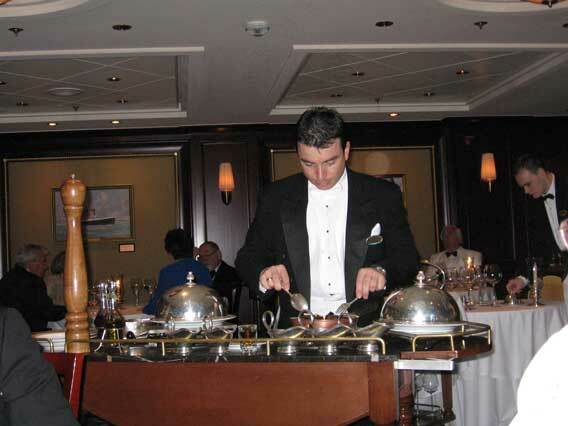 It is very common for the cabin stewards to still be preparing the ship for occupancy if you board the ship around lunch time. Cabins are usually available around 2 PM, but that shouldn't stop you from starting to enjoy the ship. 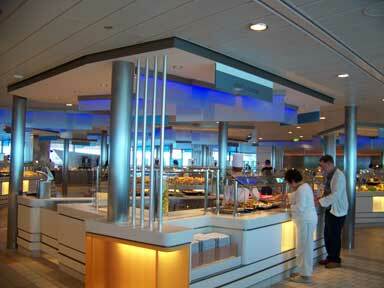 Norwegian Cruise line boasts Freestyle Dining which provides you with several choices for lunch. Instead of having a buffet in the Garden Cafe, we opted for something different. Dine on American classics as well as your favorite comfort foods, served 24 hours a day. Embarkation of the Epic was on Deck 6 near the Epic Casino. There are no cabins located on this public deck. Instead you'll find several entertainment venues and dining spots on Deck 6. O'Sheehan's Bar & Grill is located mid-ship. It was the first dining spot that we discovered after we dropped off our luggage. Checking out the menu, we decided to eat there. 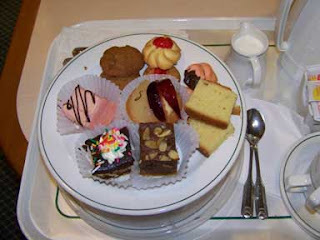 The hostess directed us to a counter across from the main dining area. She said that a server would be with us shortly. The chicken pot pie sounded good to my husband, so that was what he ordered. He said that it was very good. It must have been freshly made because it was steaming hot. My choice was fish 'n chips which is served with tartar sauce. I prefer malt vinegar with fish 'n chips, so I was happy that they had some available. It might not be as good as I've had in London, but it was an enjoyable lunch. Shortly after we finished our lunch an announcement was made that the cabins were not available for occupancy. We were one of the first to claim our bags and head off to our cabin. Our virtual tour of the Epic continues in our next post. It is a beautiful day here in Miami, Florida where we have just arrived for our 2010 National Conference which begins tomorrow. We flew in a day early to avoid the cruise day mad rush to the pier. Arriving in Miami we collected our bags from baggage claim and headed outside to arrange a ride to our hotel. We shared a ride with another couple that were staying at the Holiday Inn Port of Miami. Our hotel is the Courtyard Marriott Downtown Miami. 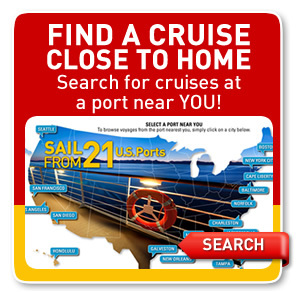 Both of these hotels are great pre-cruise hotels since they are just minutes away from the port. After checking in at the hotel, we met fellow agents who were also staying there and headed out for some lunch. We found Polo Tropical, a Caribbean chicken and pork restaurant, just a few blocks away. This was the perfect spot to kick off our Caribbean cruise vacation. Following lunch, some of our group went shopping in nearby stores while we decided to return to our room to relax. When we got back to the hotel, we spent some time watching the tropical fish in the gigantic fish tank in the hotel lobby. The rest of our group returned after a hour or so of shopping and we met at the 7th floor pool. Lounging by the pool was a great way to continue transforming into the cruise lifestyle we would be enjoying for the next 7 days. The sun was starting to set as we lounged by the pool. Shadows and various colors were cast on the tall buildings surrounding us. Three or four hawks were circling overhead as we laid by the pool. Following our relaxation by the pool, it was time for dinner. We decided to stay in and try the newly remodeled Bistro at the Courtyard. It was actually very good. The service was friendly and the food was very good. We hung out in the Bistro after dinner until more of our group arrived. We finally parted company around 10:30 PM and headed up to our room. The active Atlantic hurricane season continues with the formation of another hurricane off the Yucatan Peninsula. Paula is currently a Category ONE storm but weakening is expected in the next 48 hours. Hurricane Paula has altered several Cruise ship itineraries on Carnival, Holland America, and Celebrity Cruises. Other lines are monitoring the situation. 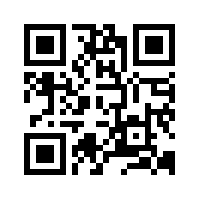 Click here for changes. OR OVER WESTERN CUBA TODAY (Thursday Oct. 14). Carnival Valor revised itinerary includes stops in Ocho Rios (Wednesday) and Nassau (Friday). The original voyage called for stops in Roatan, Belize and Cozumel. Carnival Legend, will no longer visit Cozumel (Wednesday), Roatan (Thursday) and Belize (Friday). The ship will now call in Ocho Rios in Jamaica on Thursday (a three-for-one trade). Carnival Ecstasy will no longer call in Progreso and Cozumel as originally planned. The ship is swapping two ports for one and will call in Veracruz on Wednesday instead. Carnival Triumph is also swapping two ports for one to avoid Paula. Instead of stopping in Progreso and Cozumel, the ship will visit Key West on Wednesday. Carnival Conquest revised itinerary features calls in Montego Bay (Wednesday) and Key West (Friday) instead of Montego Bay, Grand Cayman and Cozumel as originally planned. Because some cruises have been dramatically altered, Carnival is offering compensation to some impacted passengers. Carnival will continue to monitor the situation and make additional changes if needed. Holland America Ryndam will no longer call at Belize City, Roatan or Costa Maya as originally planned. The revised itinerary includes Half Moon Cay (HAL's private resort island) on Wednesday and Grand Turk on Thursday. Celebrity Solstice will call in Grand Cayman, Montego Bay, Labadee (sister line Royal Caribbean's private beach resort in Haiti) and Nassau instead of visiting Grand Cayman, Cozumel, Costa Maya and Roatan as originally planned. NCL indicates that all ships are currently operating as scheduled. They will continue to monitor Hurricane Paula and make changes if needed. Click on the link above for current update. It's that time of year again! World's Largest Cruise Night is Here! 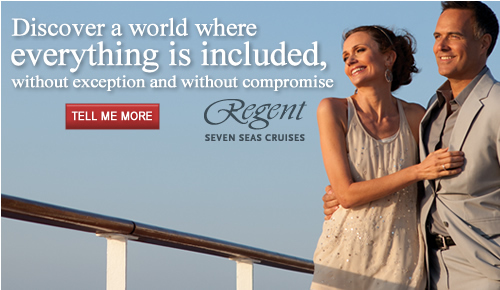 Click a Cruise Line to find your perfect match! This is the largest promotion of the year for the cruise industry, so what better time to take advantage of these special offers, then NOW! 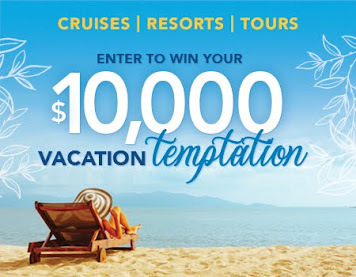 We're joining with member travel agencies from the Cruise Lines International Association (CLIA) across the US and Canada to host the online World's Largest Cruise Night an opportunity for travelers like you to learn more about one of the most popular vacations: cruising! Cruising is all about you. 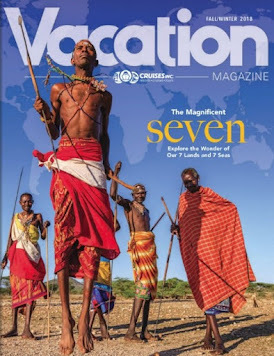 You can find adventure, culture and education or, relax the day away. Dine on fine cuisine. Indulge at the spa. Reconnect with family. Share romantic moments. All this, in the destination of your choice, for a few days, a week, or more, and on a cruise that's right for you. 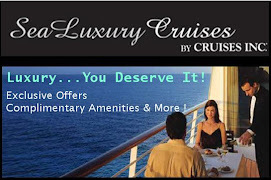 Simply click on the cruise line of your choice and see what special deals they have to offer! 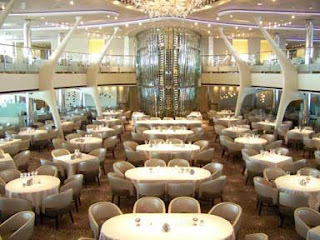 Some ships have dining venues that require reservations and offer an upscale dining experience much like fine dining back home. There is an additional gratuity charged to your onboard account for the special service provided. 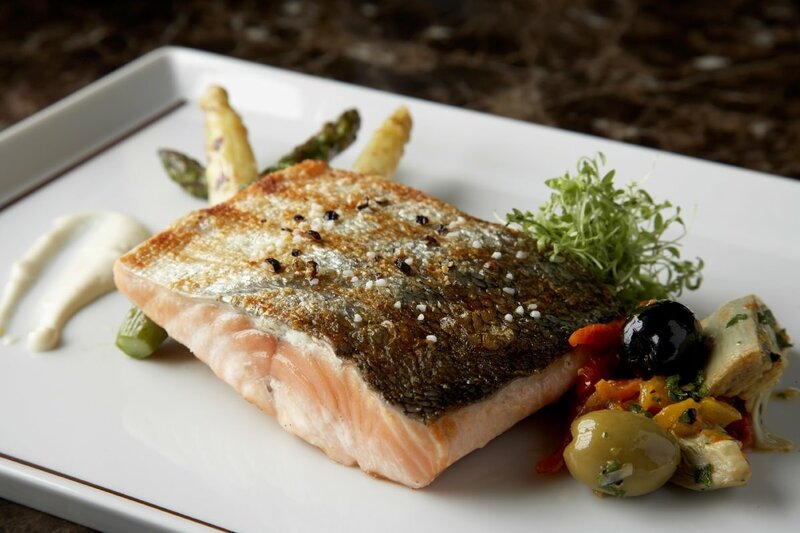 On some ships, there may only be on specialty restaurant while on others, there may be several specialty options. The specialty cuisine might include steaks, chops, seafood, Italian, Asian, Japanese and other cultural dishes. Norwegian Cruise Line introduced "Freestyle Dining" over 10 years ago and have continued to refine the program. One thing you need to realize is that you will be paying the surcharges we mentioned for specialty restaurants for the freedom of choice. The fees won't break the bank, but you need to include them in your vacation budget. 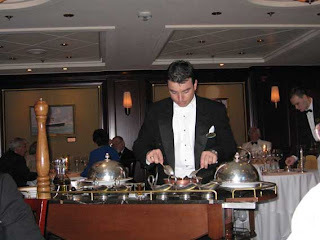 We've written about Freestyle Dining many times before - just do a search to read more.